Clic on the image to visit the Website. 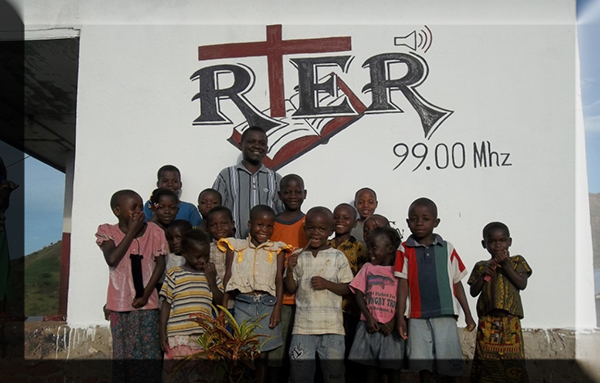 Read the project that has been launched to broadcast the Gospel in Democratic Republic of the Congo. In our ministry of The Real Good News, we believe that it is not an option even though we are a young ministry, to help other ministries in need. Often the reasons for not helping others are: "We are just starting, we prefer to wait until we grow to support other ministries". 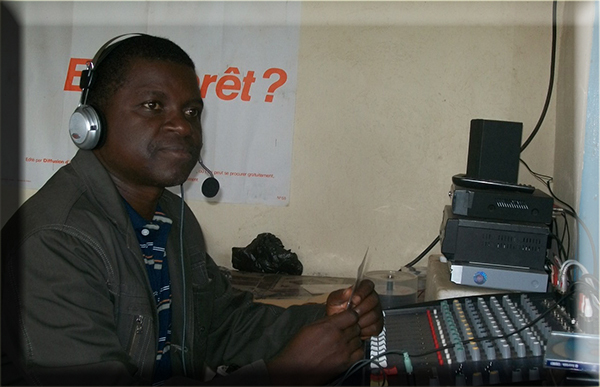 When the Pastor Jean Luc Simbilyabo from Radio TV Gospel Reconciliation has contacted us, we were immediatly concerned about his ministry, and by the diffilculties that he is facing due to the situation in the Democratic Republic of the Congo. 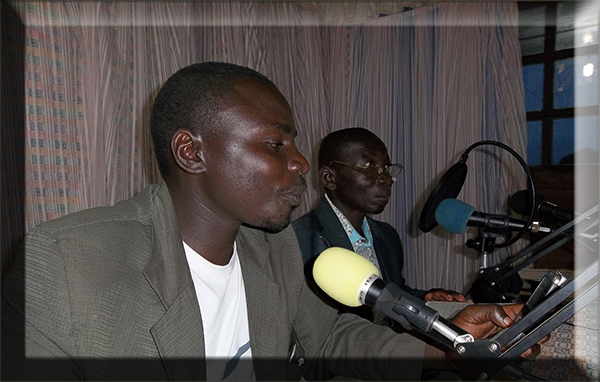 The Real Good News and La Vraie Bonne Nouvelle are now partners with Radio TV Gospel Reconciliation. We are sending free studies in binded books to the team of RTER, in order for these teachings to be aired at RTER. They will also be given to people who ask for them who are not able to access Radio Teachings during regular times. 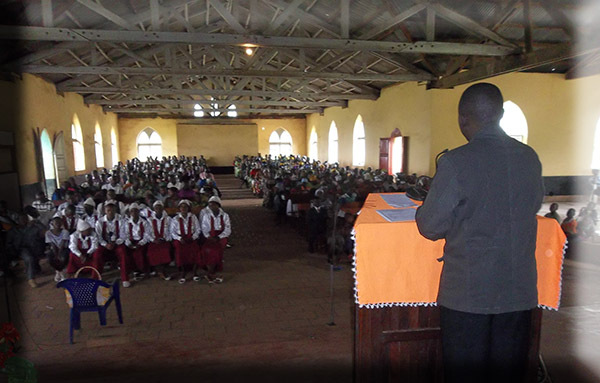 Nyankunde and this region have been at the heart of a major ethnic conflict requlting in the 2002 genocide, where in the only village of Nyankunde, 5000 persons lost their lives. The material damages and the human and spiritual consequences have been dramatic. On the material side there is the destruction of social economic structures, like the printing house and the radio ministry Neno la Kweli (the Word of Truth), which were helping in the evangelical movement before the events of the civil war. The land of Gety, East of Nyankunde is still suffering the atrocities and the hostilities that affect the population in this region. On the moral and spiritual sides, the war has damaged the moral attitudes and created a low level of spiritual life in the Christian area. 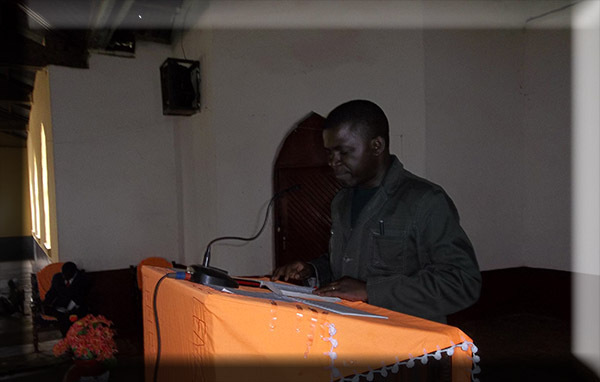 Out of concern for the people traumatised by the effects of the war and convinced of the necessity to spread the love of God to help the people, this ministry has begun the projet of FM Evangelic Radio station, RTER. 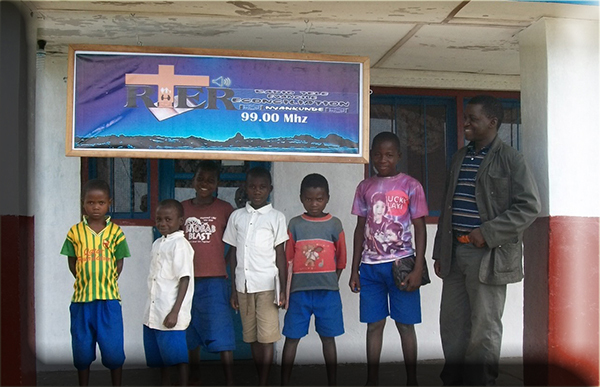 Pastor Jean Luc Simbilyabo with some childrens, in front of the Radio RTER. 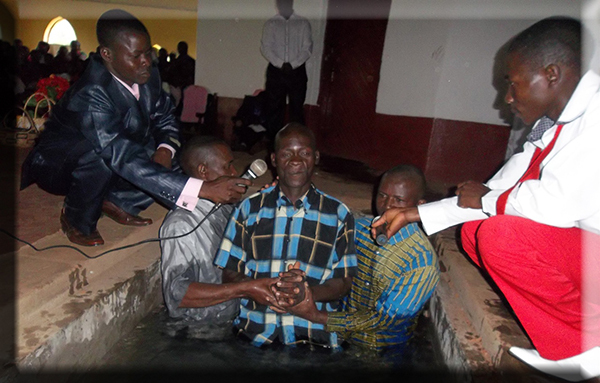 Baptism in the Nyankunde Church. The Vision of RTER is, to see the hearts of the Congolese transformed by the Gospel and for them to all live together hand in hand in a peacefull country. - Restore peace to the people who have experienced traumas because of the war. - Help the community to live together in harmony with the trues values of the kingdom of God. - Reinforce the church to aid its growth. - Organise 540 radio broadcasts eatch year for 50.000 listeners.